Multi-platinum international music sensation Celtic Woman are set to release their latest studio album VOICES OF ANGELS today (November 18) on Manhattan/Caroline. 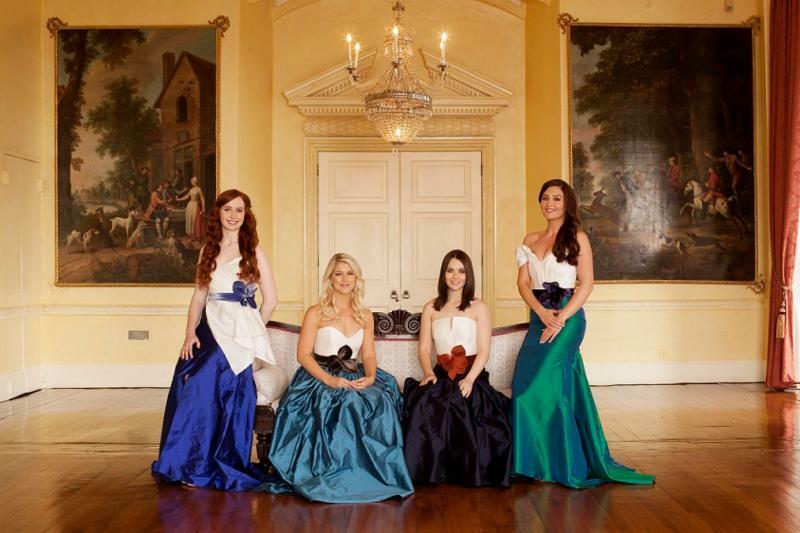 The album contains some of the most popular songs from the Celtic Woman repertoire, along with several previously unrecorded tracks, all with stunning new orchestral arrangements recorded with the 72-piece Orchestra of Ireland. To view the EPK for VOICES OF ANGELS, please click here. Celtic Woman has a remarkable 12-year-legacy of introducing the most talented singers and musicians from Ireland onto the world stage. VOICES OF ANGELS showcases the angelic voices of Susan McFadden, Mairéad Carlin, Éabha McMahon and introduces the breathtaking new Celtic violinist Tara McNeill. The foursome will follow the album’s release with a short run of holiday-themed dates in late 2016 (at which they’ll introduce U.S. audiences to Tara McNeill), with a full tour to follow in Spring 2017. Available in three formats–Digital, Physical CD and a special Target exclusive–VOICES OF ANGELS features songs from the group’s storied career: “Isle of Hope, Isle of Tears,” “As She Moved Through The Fair” and “Mo Ghile Mear (My Gallant Star),” alongside traditional classics as “Amazing Grace,” “Ave Maria,” “Joy to the World” and “Silent Night” and well-known film scores “My Heart Will Go On” (Titanic), “For The Love of A Princess” (Theme from Braveheart) and “A Time For Us” (Theme from the 1969 film Romeo and Juliet). VOICES OF ANGELS(Digital/CD) is available now for pre-order HERE and the full track listing is below. 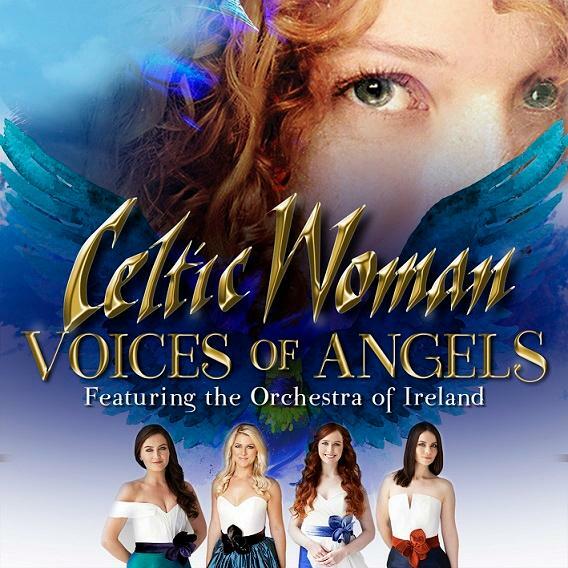 To celebrate the album’s release, Celtic Woman are returning with a brand new live show ‘Voices Of Angels‘ for an extensive North American tour launching March 2, 2017 in Lakeland, Florida. The trek will crisscross its way across North America with performances lined up in over 90 cities through the end of June and will feature audience favorites including music from the new album. Tickets for the tour are on sale now and for a limited time, every ticket purchased for the Spring 2017 tour includes a digital download of VOICES OF ANGELS album. They’ll preview the full tour with a run of shows launching November 30 in Santa Rosa, CA and wrapping December 22 in St. George UT. Following its debut on PBS in 2005, Celtic Woman has achieved massive success encompassing ten chart-topping albums, eight DVDs and nine public television specials leading to sales of over ten million albums, with platinum success in nine countries. Each of its ten CDs–including 2016’s Destiny–has debuted at #1 on Billboard‘s World Albums chart. The group has been named Billboard Magazine’s #1 World Albums Artist six times. As a touring powerhouse, the group has performed for over four million fans across 23 countries and six continents, with an especially devoted following in America. Their shows are renowned as high quality entertainment with exceptional musical performances and stunning visual productions, enthralling audiences of all ages.